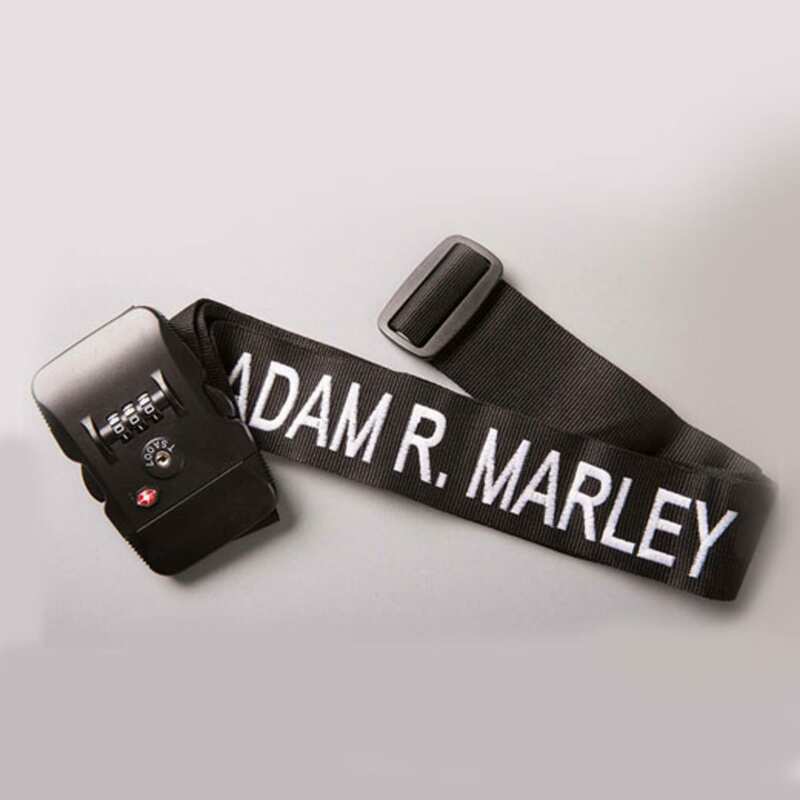 Personalised luggage strap embroidered with your name with TSA approved lock that will help make your luggage stand out at the airport and will help its safe return to you. Dimensions: 5cm wide x 1.7 m long. 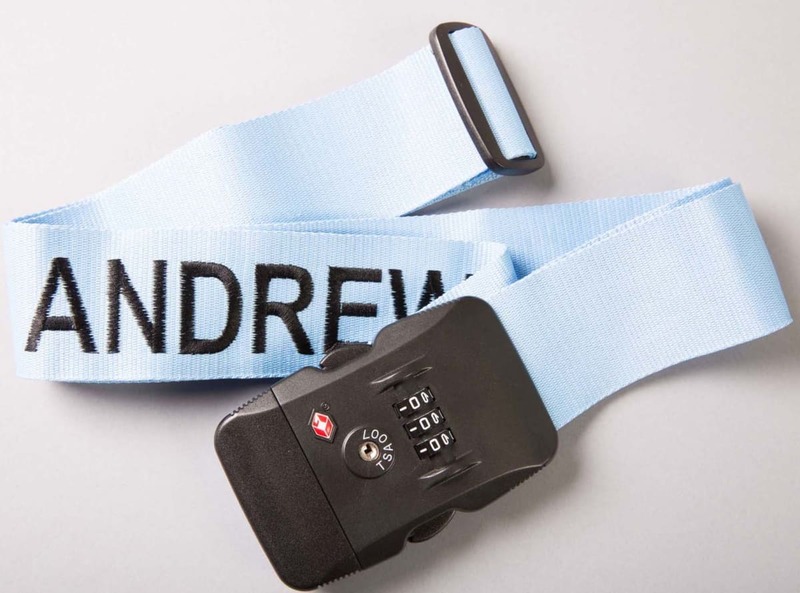 This personalised luggage strap with TSA approved lock will help make your luggage stand out at the airport and will help its safe return to you. 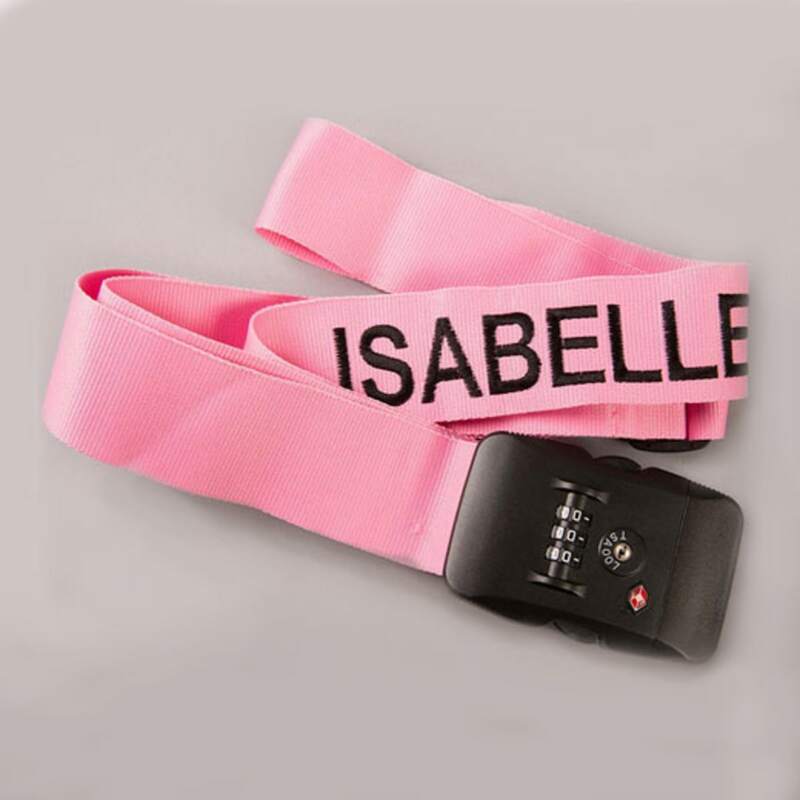 The strap is adjustable in length with a sliding belt and features a TSA (Transportation Security Administration) approved code combination lock for added security making it the perfect strap for traveling to or in the USA. Text on the strap is in ALL CAPS. High quality suitcase strap made in the UK. Dimensions: 5cm wide x 1.7 m long. Additional Information Lock on strap is a TSA approved combination lock. 1. 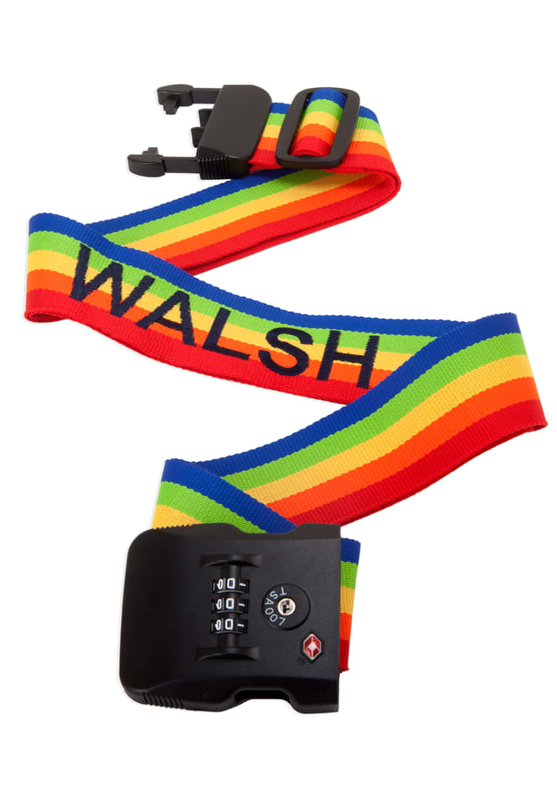 Adjust strap length with sliding belt. 2. Set combination lock with the desired code. To set the code, make sure the combination is on the current code (000 when new). On the back of the buckle, flip the switch from A to B and move the combination to the desired code. Flip the switch back to position A, and the new code is set. If you forget the code, unfortunately the only way to unlock the buckle is to go through every combination until it opens, so it is recommended to keep a note of the code. 3. Shut the strap by clicking parts together. Ser mycket bra ut - har ännu inte provat den på resväskan.... Tack för din underbara recension. Vi är så nöjda att du gillar bagageremmen - de är väldigt robusta och gör livet enklare på flygplatsen! 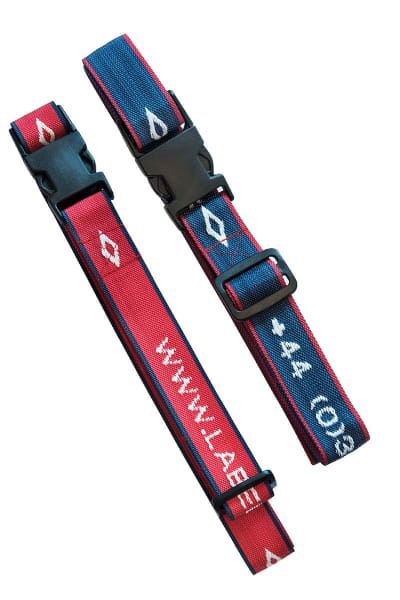 Great quality strap. Just what was required. Perfect for travel as it has the lock that customs can open with their own special key and the colours really stand out on the luggage belt. All my friends are asking for one now! Great quality product. Exactly what I was looking for. The Luggage Straps I ordered were great and of high quality + they arrived very quickly Delighted to hear you are happy with your Luggage Straps and the quality. Lovely product. Very nicely made.